Angola: Real Change, or Just Old Wine in New Wineskins? The new administration in Angola will face a myriad of challenges that cannot be resolved without reforms. Is there a chance for change or just more of the same? After nearly 40 years in office, Angolan President José Eduardo dos Santos is stepping down in September 2017. 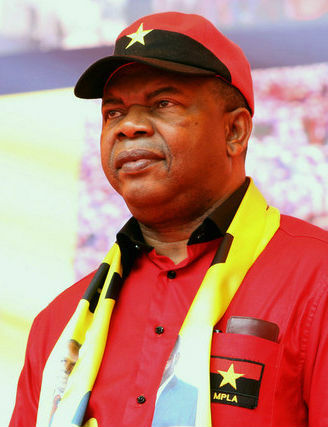 Taking the reins is Defense Minister João Manuel Gonçalves Lourenço, a respected army general, veteran of Angola’s independence struggle, and Secretary General of the ruling People’s Movement for the Liberation of Angola (MPLA). After defeating the Union for the Total Independence of Angola in a brutal 17-year civil war, the MPLA presided over a natural resource-fueled economic boom that turned Angola into Africa’s second largest oil producer and third largest economy. The party abandoned its Marxist-Leninist ideology, though the MPLA continues to control key sectors of the economy, including oil and gas, mining, banking, and construction. Like other liberation-era ruling parties in Africa, the MPLA maintains tight control of the security apparatus and its influence permeates all aspects of Angola’s social and political life. Political power in Angola has existed at the nexus of the ruling party, the armed forces, big business, and the economy. Some see Lourenço’s elevation as a choreographed move to ensure that the MPLA’s hegemony and deeply entrenched patronage network will remain intact. Others believe that reforms will gradually take root, pointing to Lourenço’s stated determination to pursue transparency as an early indicator. To gain perspective on this transition, the Africa Center for Strategic Studies has asked Angola experts Rebecca Engebretsen, Soren Kirk Jensen, Andre Thomashausen, and Alex Vines to share their views on the priority issues that will shape Angola’s future. Why Is This Transition Significant? 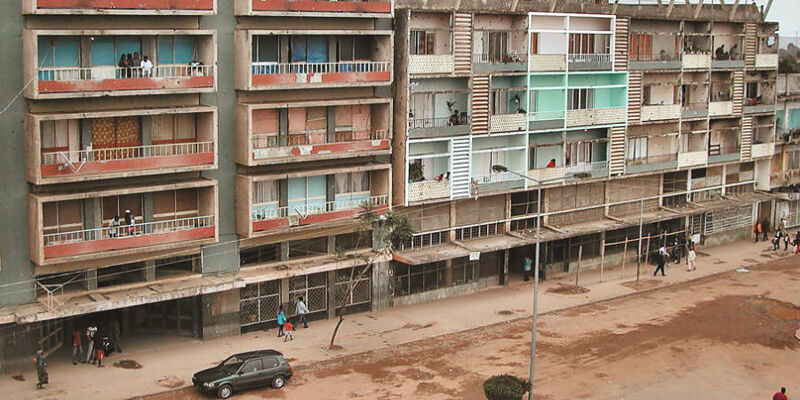 Angola is one of Africa’s richest countries, but it is also one of its most unequal. While it has the world’s highest cost of living, unemployment stands at 40 percent, and 68 percent of the population lives below the poverty line. The drop in oil prices in 2015 forced the government to slash spending by 53 percent, straining its capacity to deliver basic social services and increasing the risk of social unrest. Health and sanitation budgets were cut by 70 percent. In 2016, Angola was unable to contain a serious yellow fever outbreak. Furthermore, hospitals ran out of malaria medication, even though 1.3 million people contracted the disease in the first three months of the year. This political transition, therefore, presents an opportunity to address some of the underlying forces of instability in one of Africa’s wealthiest countries. Buildings at Rua Cinco, Huambo, Angola. “This transfer of power could usher in change in a country that boasts one of Africa’s largest and most capable armed forces and whose economy has been growing in double digits since the nineties,” says Alex Vines, Director of Africa Programs at Chatham House. “Angola’s foreign policy prioritizes a strategic partnership with Brazil, China, Portugal and United States. As America’s second-largest trading partner in sub-Saharan Africa and with more than 258,000 Chinese and 100,000 Portuguese working in the country under special visa arrangements, what happens in Angola is internationally significant,” explains Vines. Some signs point toward the transition from dos Santos to Lourenço as a positive shift in the country’s trajectory. Many Angola watchers had expected a family member to succeed dos Santos. His eldest daughter, Isabel, Africa’s richest woman, heads the country’s oil company, Sonangol, and holds majority shares in Banco BIC and Banco Fomento Angola, among other investments. Her sister, Welwitschia José dos Santos Pego, is a member of the MPLA central committee and holds majority stakes in Banco Prestigio. One of their brothers, Jose Filomeno dos Santos, chairs Angola’s $5 billion sovereign wealth fund, and another one, Eduane Danilo dos Santos, is a part-owner of Banco Postale Angola, the country’s newest bank. Will There Be Real Reforms or Just More of the Same? But the country’s financial woes can only be alleviated through serious institutional reforms. Getting there will not be easy, according to Engebretsen, because the initiative for such reforms would need to come from the ruling elite. “Throughout the war and after, a small clique has profited immensely from their privileged access to economic opportunities in the country. … The structures of the oil-dependent economy have proved so lucrative that there has been little sense of urgency in diversifying and developing the productive parts of the economy.” Ricardo Soares de Oliveira, another Oxford scholar, notes that in 2015, Angola was more dependent on oil rents than in 2002. Power realignments in the MPLA will also play a role in Angola’s future prospects. Thomashausen notes that tension between progressives and the old guard could limit reform options. Some continuity will be assured given that dos Santos will remain president of the MPLA and retain sweeping powers that include choosing parliamentary candidates and appointing top posts in the army and police. Indeed parliament recently passed a law that prohibits the new president from sacking the heads of the army, police and intelligence for eight years. Given the Opportunity, What Changes Should Be Made? The ruling party should also be included in any assessment of required institutional reforms notes de Oliviera. “MPLA’s leading policy intellectuals deeply believed in the model of Mexico’s Institutional Revolutionary Party that held power uninterrupted for 71 years from 1929 to 2000, and then returned to power in 2012. MPLA ideologues were captive to the notion that their party was the only force that had legitimacy to rebuild Angola. This was matched by a sense of demobilization, as average Angolans were perceived to be simply content with not being shot at and therefore not deeply involved in politics.” This decades-long passivity has changed and the MPLA may have to prepare to face greater public demands and pressure to reform and improve the lives of its people. De Oliviera also warns that Dos Santos’ overbearing presidency left the MPLA and Angola’s political processes “deeply de-institutionalized” and this could make it even more difficult for the new administration to find its footing. What Are the Implications for the Security Sector? 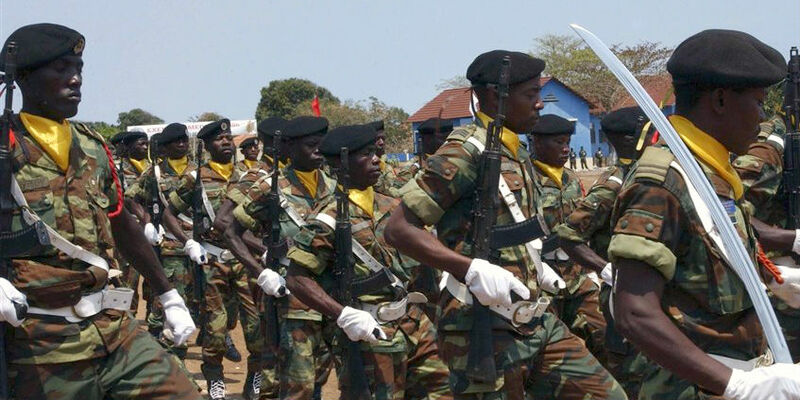 He suggests that Angola avoided major protests by ex-military members and combatants because of an expensive wealth redistribution scheme made possible through inflated defense budgets. This will have to change if military professionalism and transparency are prioritized by the new administration. Alex Vines, “Review article: Continuity and Change in Angola: Insights from Modern History” Chatham House, International Affairs, Volume 92, Number 5, September 2016. 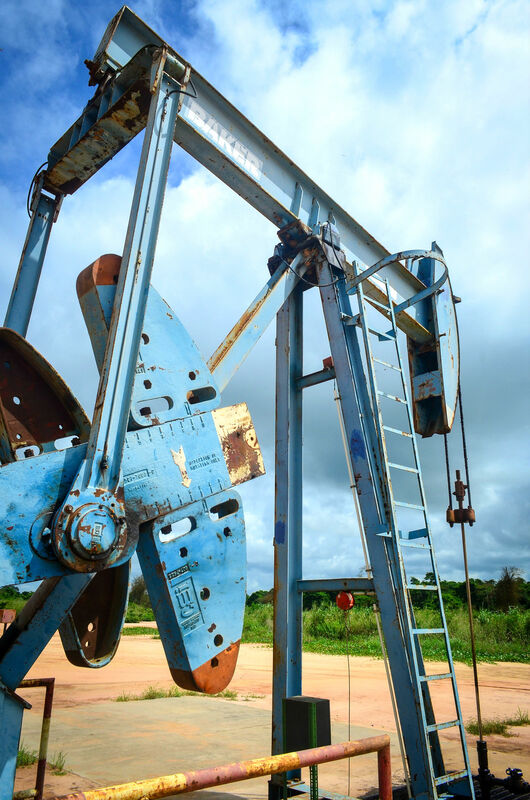 R. Mailey, “The Anatomy of the Resource Curse: Predatory Investment in Africa’s Extractive Industries,” Africa Center for Strategic Studies, Special Report, No. 3, May, 2015. Lara Pawson, “Book Review: Magnificent & Beggar Land: Angola Since the Civil War by Ricardo Soares de Oliveira,” African Arguments, March 15, 2015. 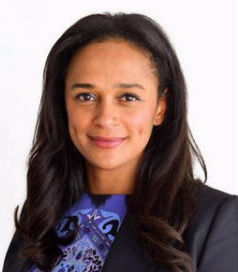 Rebecca Engebretsen, “Angola’s Ruling Family Is Worth Billions. What Happens When Dad Steps Down?” African Arguments, August 14, 2017. Soren Kirk Jensen, “Angola Prepares for Life after dos Santos,” World Politics Review, February 15, 2017.